the everyday atelier: 2012 Highlight: Tweet from Mayor Nenshi! 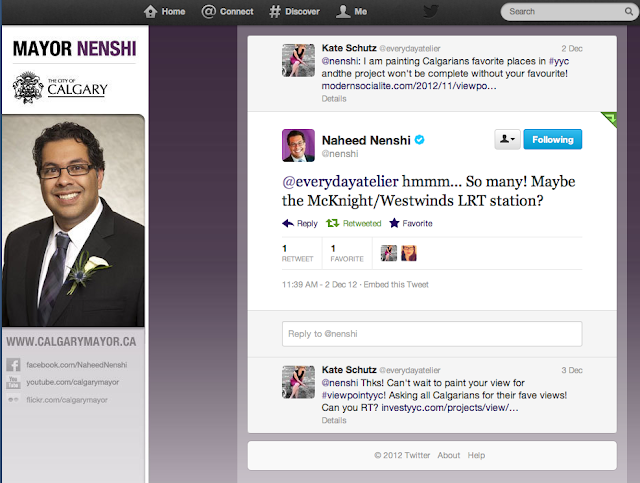 2012 Highlight: Tweet from Mayor Nenshi! 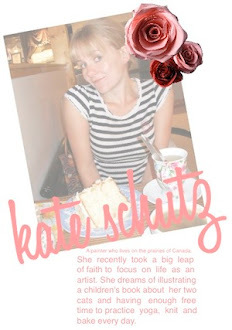 ViewpointYYC has really taken off and as of this post I am 94% funded! I have received amazing support from friends, family and Calgary's arts community, but the biggest thrill by far has been Mayor Naheed Nenshi's tweet! I am a huge fan--some might say I have a wee bit of a crush---and who wouldn't love someone who is so intelligent, honest, passionate and authentic. Does your Mayor manage his own Twitter account?! His response and RT of my project link caused a huge jump in donations. I cannot wait to paint Nenshi's favorite YYC view and I look forward to, one day, being able to meet him and thank him in person.